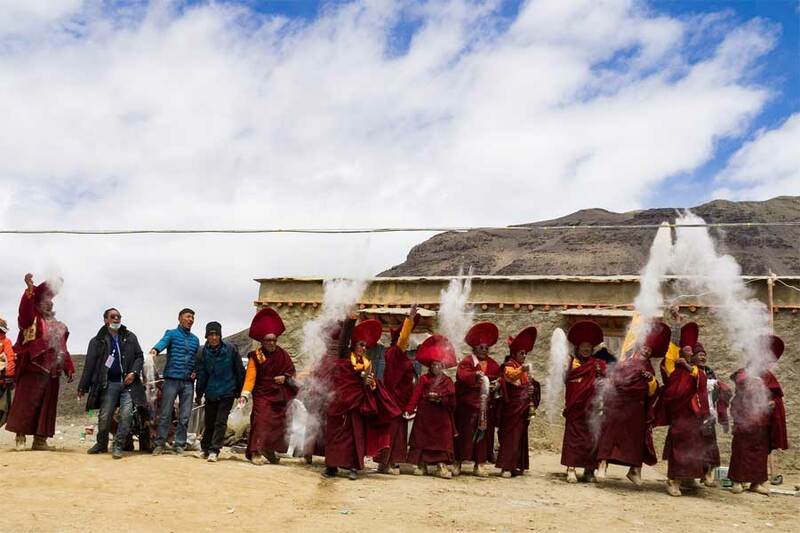 Targeting to travelers who want to travel via Lhasa and visit together cultural heart of Tibet Tibet Lhasa Kailash Tour is popular tour among the travelers. While this Lhasa to Kailash Tour drives you from the Lhasa to the iconic places of Tibet. This is also the great opportunity to visit Dalai Lama’s Potala Palace, Jokhang Temple, and artistically beautiful Drepung and Sera monasteries while your stay in Lhasa. All beautiful place and artistic monuments, you can be witness at Gyantse. Similarly exploration of the Tashilhunpo monastery at Shigatse. All these gonna attracts with their beauty . After the Lhasa exploration we will head towards Mount Kailash. Interesting part of this tour is that you will be amazed by natural marvels than cultural on every footsteps. Definitely, you will be lured by the beauty of the natural scenes, during the tour. You will first encounter with the Lake Manasarovar then move for the Kailash Kora. Tibet Lhasa Kailash Tour is the ultimate journey of lifetime to be enlightened. Exploration of visit to popular sites of Tibet’s Lhasa city first including popular Potala Place, Sera Monastery, Jokhang Temple, Norbulingka summer place of Dalai Lama and Tibetan traditional market Bharkhor market. Scenic and incredibly beautiful landscape with holy glimpse of Mt Kailash and many other surrounding mountains. 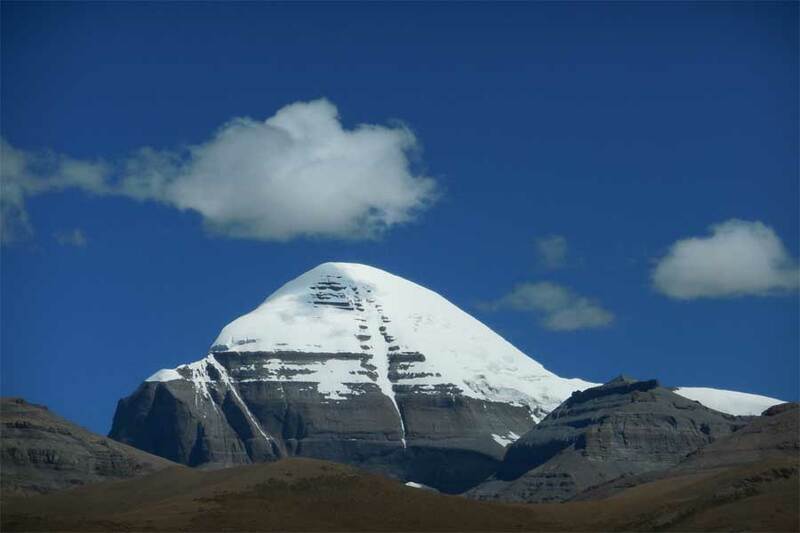 Being the Mount Kailash stands high at the remote area at the high altitude. So one must be wise enough to visit the Mount Kailash at the correct time of year. While the perfect time for the Tibet Lhasa Kailash Tour start from early May through late October. For the most of time, the Kailash region is full of snow and extreme cold temperatures resulting the trek more difficult. 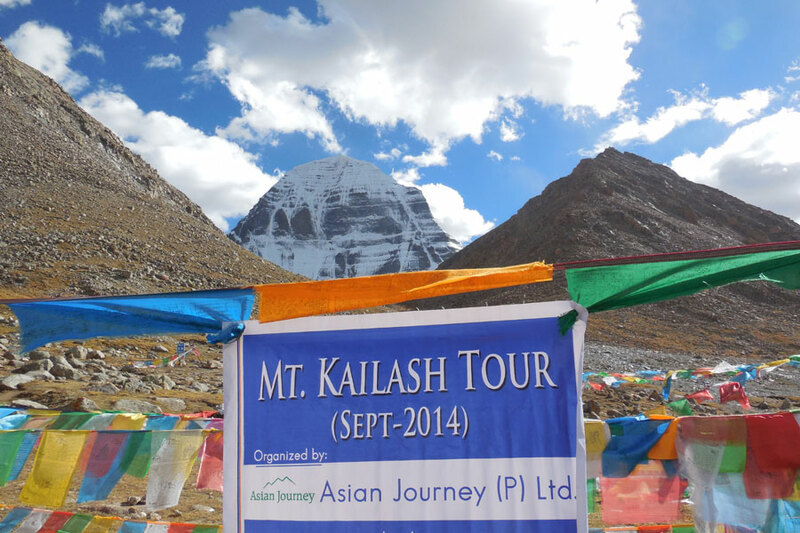 Plan your Tibet Lhasa Kailash Tour with Himalayan Trekking. Day 1 : Arrival in Kathmandu. Day 3: Visa Receive day and Trip Preparation. Today, we will receive your China visa from the Chinese Embassy and you will be free for the trip preparation, buying necessary stuffs etc. overnight at Hotel. Day 4: Fly from Kathmandu to Lhasa. Today we will depart from Kathmandu and arrive at Lhasa Gonggar Airport, you will be welcomed by the guide and transfer you to hotel. After some refreshment, we will roam around beautiful place in Lhasa (Known for one of the highest city in the workd) it is also said to be “place of the gods”. You will experience the culturally significant Tibetan Buddhist sites and is full of amazing things. Day 7: Drive from Shigatse to Rongbuk. Early morning, will enjoy Sunrise over Mount Everest. Then drive to Everest Base Camp (5200 meter/ 17060 feet) which is 4 km from Rongbuk. From Everest Base Camp (5250 meter) you can enjoy great views of high mountains like Cho Oyu (8201 meter), Shisapangma (8013 meter), Everest (8848 meter) and others. Then drive to Saga via Old Tingri. While driving you can see Mount Sishapangma, Langtang and also Annapurna range to the south. You pass through Pelkhu tso Lake (4600m), a cobalt blue lake and later crossing Brahmaputra river reach in Saga. Overnight at hotel. Day 9: Drive from Saga to Mansarovar Lake. Day 10: Drive from Mansarovar to Darchen. Today our journey will head to Darchen, base camp of Mount Kailash, Till that time you can do Puja (Worship), Havana, Meditation and also go for short Hiking to Chu Gompa (Ancient Buddhist Monastery nearby Mansarovar Lake). After reach to Darchen your guide will assist you if you need horse and porters for your following 3 days trekking around Mt.Kailash. Overnight at guest house in Darchen. Day 11: Trek from Darchen to Dirapuk. 1st day of Parikarma. Morning drive to Shersung. We will start our trek from Shersung. After a short walk will reach Tarboche. Here is small temple called Yamdwar by Hindus. Near to this temple you see great flagpole. It is said that here Buddha came with 500 disciples for their supernatural power. Will continue our walk passing through grassy plain populated by nomads. En route you can view of west face of Mount Kailash. Then you reach at Dirapuk from where you will have good view of the north face of Mount Kailash. Overnight at guest house in Dirapuk. Day 12: Trek from Dirapuk to Zuthulpuk. 2nd day of Parikarma. Today is little bit harder to walk because to go up all the way to Dolmala passes (5723 meter/18776 feet). It is highest point in all this trip and then way down. From this trail you can have view of back side of mountain and many prayer flags at highest point. Also There’s a pool of great compassion at side of route which is called Gauri Kund by Hindus. In Zuthulpuk a temple and shrine is built around Milarepa’s cave where Milarepa, one of the most widely known Tibetan Saints, took dark retreat few years. He printed his hand and feet on the rock. After that overnight at guest house in Zuthulpuk. Day 13: Trek from Zuthulpuk to Darchen. Final day of Parikarma. Day 14: Drive from Saga to Shigatse. The drive through the same road on day 8, It is about 450 km and takes 7 to 8 hour to reach Shigatse.Overnight at hotel in Shigatse. Day 15: Drive from Shigatse to Lhasa. Day 16: Departure from Tibet/ Fly from Lhasa to Kathmandu. Today our guide will transfer you to the airport in time for your flight to Kathmandu. Once you land in Kathmandu airport you will be picked by our vehicle and transfer to your hotel. Rest in Kathmandu/ Last minute shopping. Overnight at hotel in Kathmandu. Our tour leader transfer you to the Kathmandu International Airport in time for your flight and help you get on board for your onward destinations.